It was doing so well and then, in April last year, there was a dramatic drop and it has been steadily dropping ever since. How could this happen? Are gold bugs shaking in their boots after lauding the praises of gold for so long, watching it rise steadily and, seemingly, with no end in sight for so many years? The sudden and effective suppression of the gold futures price is now well established and documented by GATA, acknowledged by Russia and China as well as other gold analysts around the financial traps. Yet, in the face of this, gold demand by China is expected to reach the lofty heights of 2500 tonnes with 2000 of that import gold this year (2013). This is likely to match the world gold production for the year and does not take into account the gold imports by India. So the first question is. Where is all this gold coming from? Eric Sprott, of Sprott Asset Management infers that it all comes from Western Central banks through quietly done swaps and leases and this may well be the case as there is little other gold around stock piled to speak of. But this prompts the second question is why? 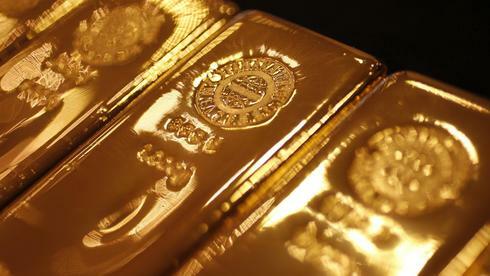 Why is China so keen to buy up all the gold it can get its hands on? And why is the west so keen to sell it? As far as the west selling gold this is possibly due to last ditch efforts to bolster the flagging US dollar. A never ending QE is not inspiring confidence in the US dollar so destroying confidence in the one commodity that is perceived as a threat becomes the target. China is taking advantage of that and Koos Jansen on his website, 'In Gold We Trust' has an extensive analysis of China's demand for gold which points to a different perception of gold and its value. I pointed out last year, in an article in the Australian Resources & Investment Journal, 'Spot Gold to be in Yuan' - March 2012, that China is keen to swap its US dollar base for gold on the premise that with the never ending QE, the dollar is rapidly losing value whereas gold retains its value, and that there is a real possibility that China will use gold to back the Yuan internationally. This now looks even more likely with the furious buying up of the world's gold production including gold mines around the world. All this points to the fact that the price of gold is not going to remain low forever. At some point, possibly when China holds most of the world's gold reserves, the price of gold is going to start up again. And this time there will be no suppression but the effort will be to increase the value of the yuan so the higher the price of gold the higher the value of the yuan. This does not include efforts by Russia, importing gold also in large volumes, and India continuing its tradition of buying gold So all is not lost. This is a prime opportunity to buy gold while the price is still low. Buy gold and sit on it. Do not sell (not even to the Chinese) because one day in the not too distant future, it is likely that gold is going to be the most hard to get precious commodity on the planet and those that hold gold will be congratulating themselves on their foresight. Christmas will have indeed come for the gold bugs and lovers of the planet.